Order Once & For All. 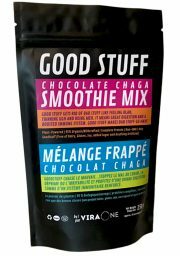 There are many clients who purchase GoodStuff every month in order to keep up with their nutrition plan. This is why we have introduced a subscription service where we will send your preferred bag at a pre-set date. Some people love this convenience while entering their billing info only once (safely secured by Stripe). Select an Auto-Ship Frequency to add this item to auto-ship. Cancel Anytime.